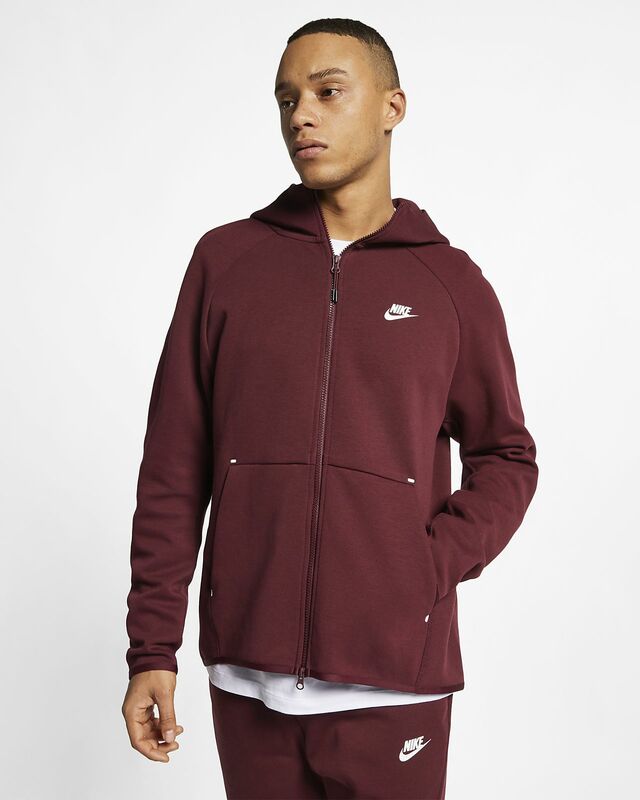 The Nike Sportswear Tech Fleece Hoodie updates a wardrobe staple with the lightweight warmth of Nike Tech Fleece fabric. Designed with a two-way zip, it's a modern take on the classic hoodie. 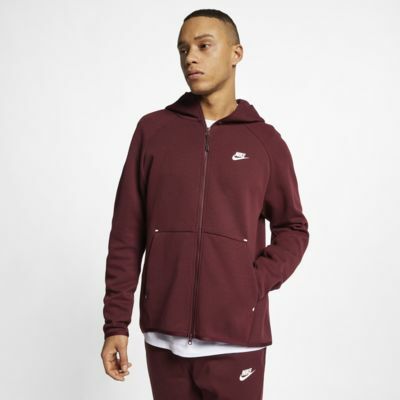 The Nike Sportswear Tech Fleece Hoodie updates a wardrobe staple with the lightweight warmth of Nike Tech Fleece fabric. Designed with a two-way zip, it&apos;s a modern take on the classic hoodie. Nike Tech Fleece fabric provides lightweight warmth. Reinforced pockets are extra durable. Three-panel hood is streamlined for a sleek look. Fabric: Body: 66% cotton/34% polyester. Pocket bag palm side/hood lining: 69% cotton/31% polyester. Pocket lining: 100% cotton.